Topics: Services, Work, and Cheap Domain Names. Its 2 nameservers are ns52.domaincontrol.com, and ns51.domaincontrol.com. Godaddy.com Inc (Arizona, Scottsdale) is the location of the Apache server. 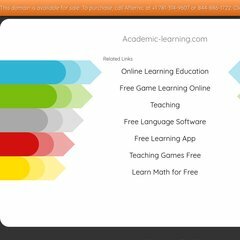 Academic-learning.com's server IP number is 68.178.254.31.